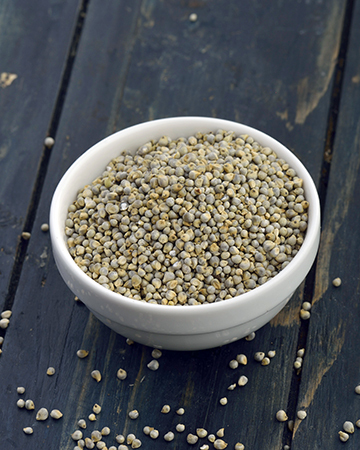 Commonly known as Pearl millet, it is one of the most widely grown varieties of millet. It is grown in bulk in Africa and India. It has been a staple diet for Indians since pre historic times. Rajasthan produces maximum bajra in India. These tiny brown grains have a nutty and bitter after sweet taste.